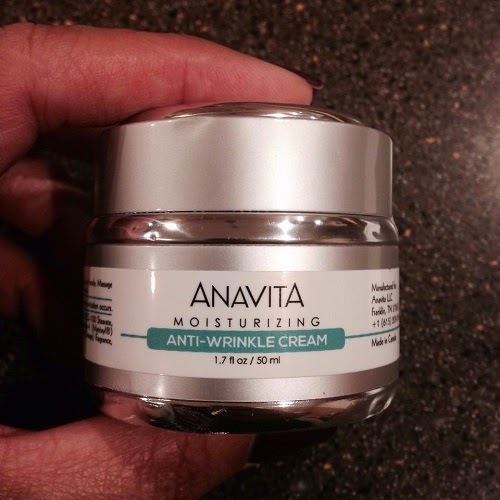 Today's review is about the Anavita Moisturizing Anti-Wrinkle Cream. Below are some of the things you should know about the product. 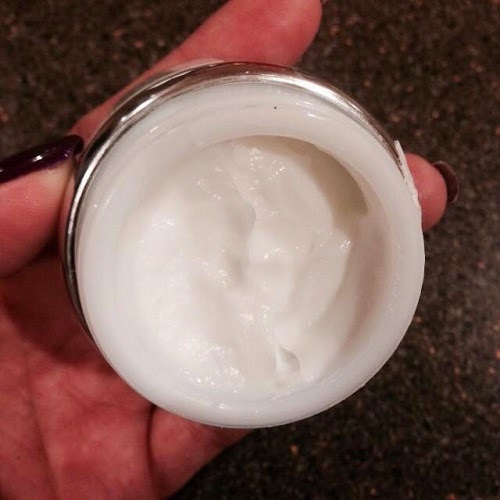 You no longer have to buy a collection of products to fight the signs of aging since Anavita Moisturizing Anti-Wrinkle Cream serves as a moisturizer, day cream, night cream, and makeup base. Our unique formula stimulates collagen production and rebuilds the cellular matrix of the skin using three clinically proven ingredients - a super-absorbent form of hyaluronic acid, Argireline (5%), and Matrixyl - a combination that makes this anti-wrinkle cream for face and neck extraordinarily effective. Your skin will benefit and look years younger from our high quality ingredients that are paraben free and not tested on animals. You will have smooth, toned, attractive skin again. The cream has a thick consistency and has a very mild citrus scent. I have tried a lot of moisturizers and so far, this is the thickest. Surprisingly, it is easy to work on the skin and it absorbs fast. I have oily skin, but it didn't leave my skin feeling greasy and looking shiny. Instead, I had soft, smooth and well-hydrated skin. It's been a week and I can already feel that my skin is tightening. I have also noticed a very slight reduction of my crow's feet. They say you should give it at least 12 weeks to see a great improvement, but I've only been using it for a week and I already noticed that's it's working. I'll continue using this because I love the results that I'm getting. 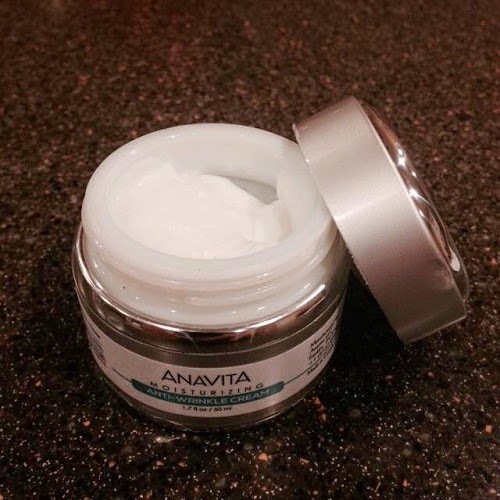 If you are looking for a moisturizer that works to soften skin and combat the signs of aging, Anavita Moisturizing Anti-Wrinkle Cream is a great product to try. It works for all skin types and is also great under makeup. Anavita Moisturizing Anti-Wrinkle Cream is available on Amazon. 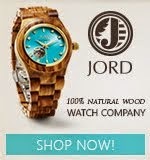 Should you decide to purchase now, you may click on this link and get $10 off. Coupon expires 10 October 2014. I am also giving away a jar to 1 lucky reader.